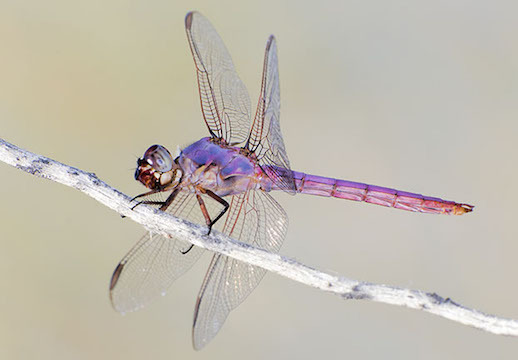 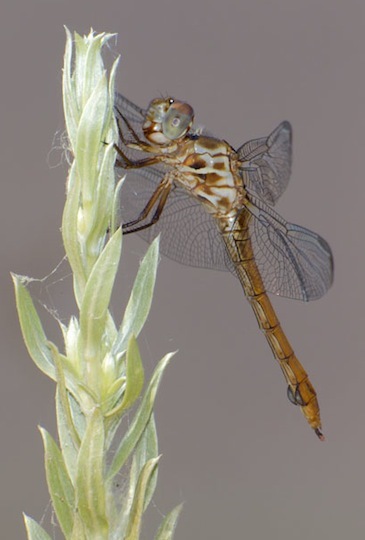 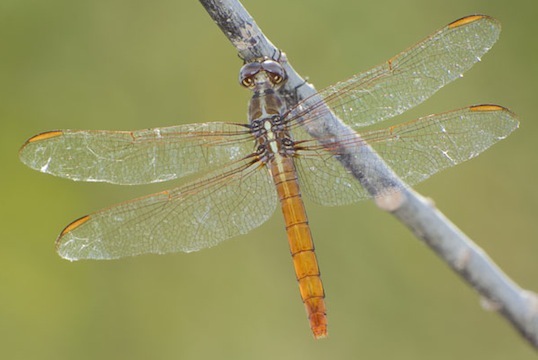 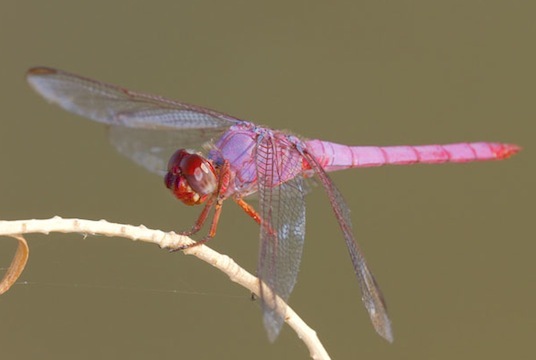 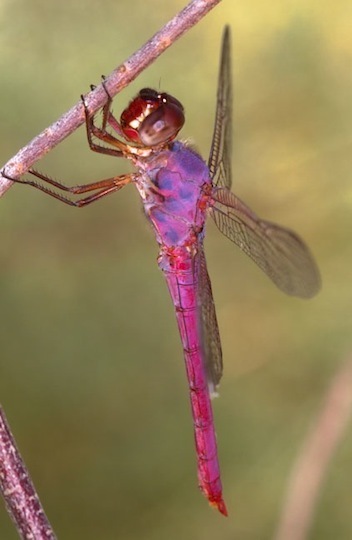 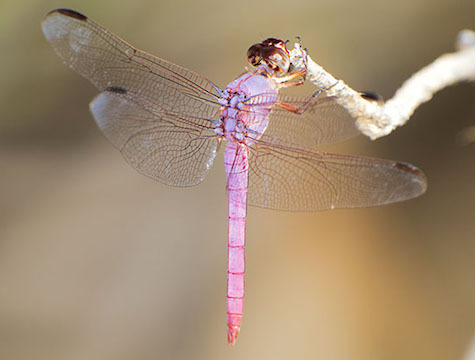 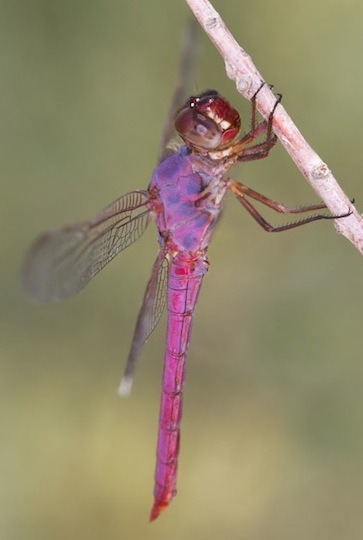 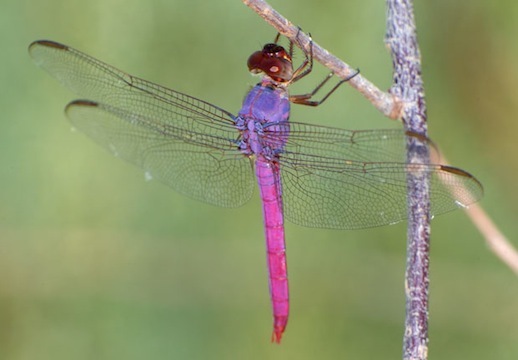 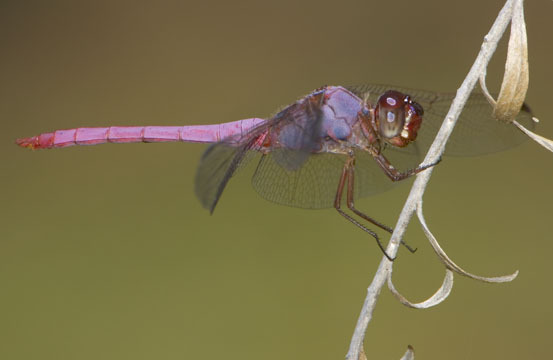 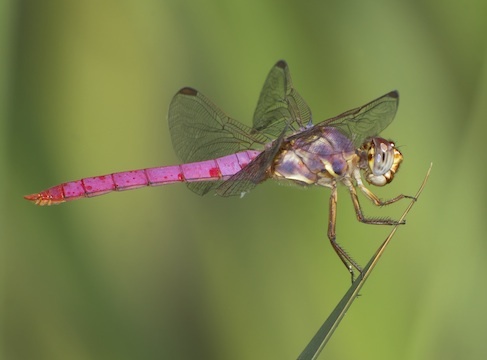 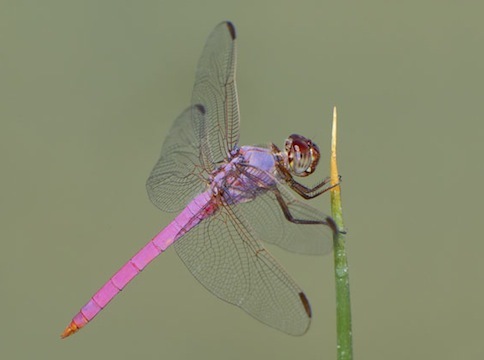 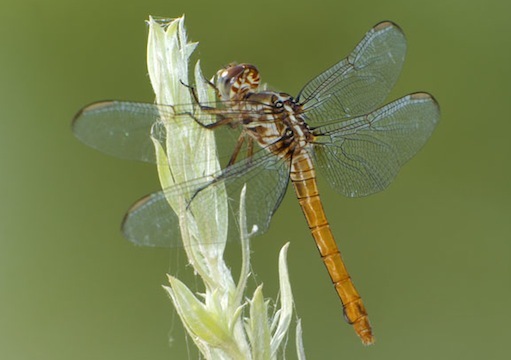 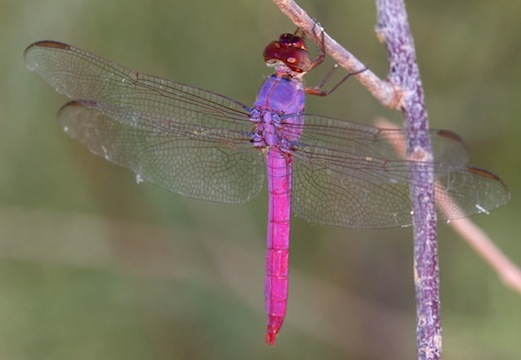 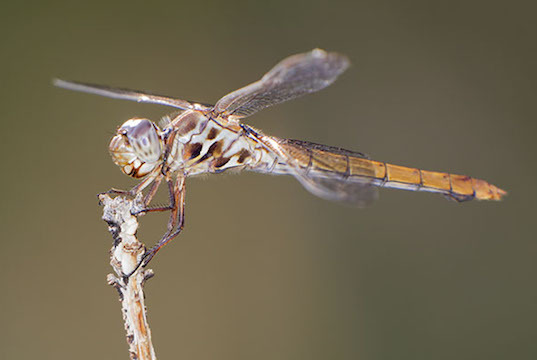 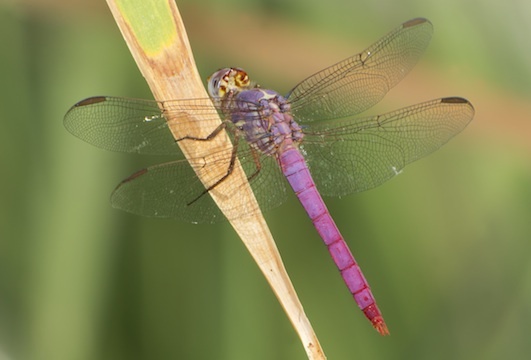 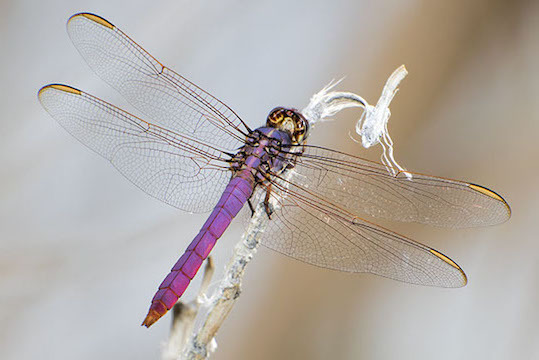 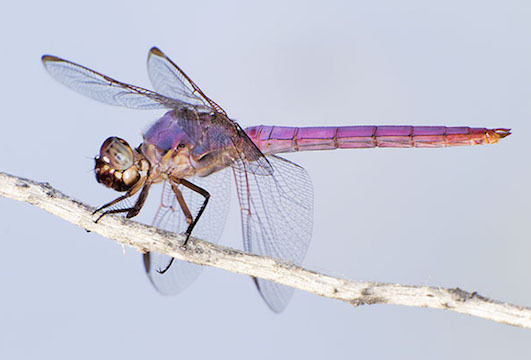 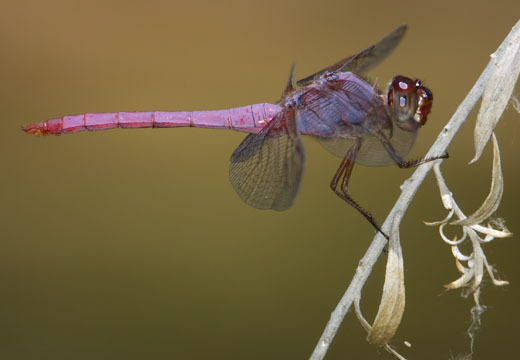 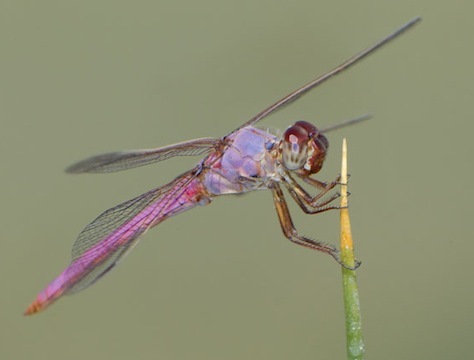 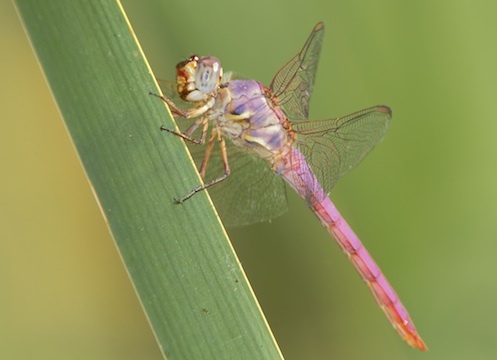 This very distinctive dragonfly is a resident of the southern US and Mexico. 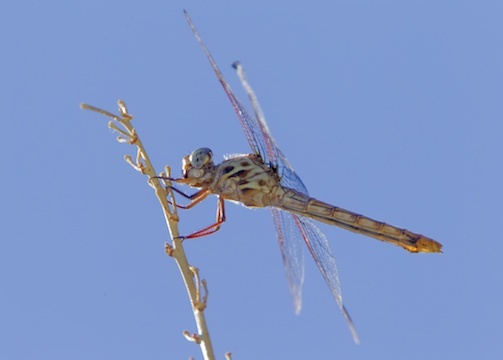 Its range barely reaches the deserts of southern California, where I photographed these specimens on some vegetation at the bank of a pond in Palm Desert, in the Imperial Vally, near the Salton Sea, and in Desert Center, all in southern California. 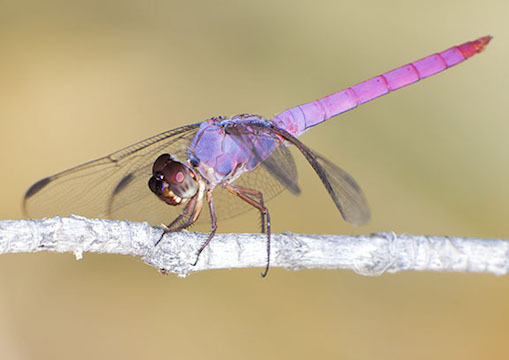 Males are beautifully magenta-pink and blue; females are much less colorful but have a distinct complex pattern on the thorax (mostly males are shown here).